The port of Mitrah. Muscat means place of moistening. 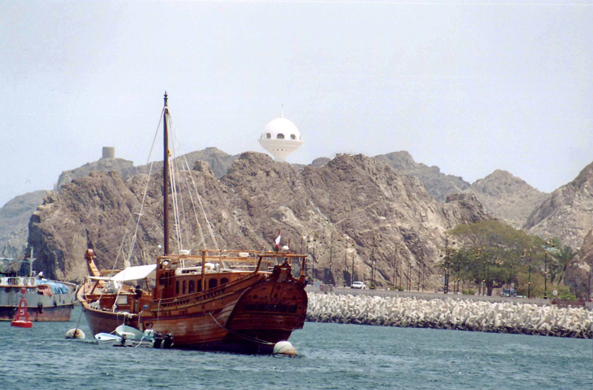 Its port is protected from all winds, with the exception of wind coming from the north. As muscat has it been always a harbour for the ships.